A discectomy is a surgery done to remove a herniated disc from the spinal canal. When a disc herniation occurs, a fragment of the normal spinal disc is dislodged. This fragment may press against the spinal cord or the nerves that surround the spinal cord. This pressure causes the symptoms that are characteristic of herniated discs, including electric shock pain, numbness and tingling, and weakness. The surgical treatment of a herniated disc is to remove the fragment of spinal disc that is causing the pressure on the nerve. This procedure is called a discectomy. The traditional surgery is called an open discectomy. An open discectomy is an operation where the surgeon uses a small incision and looks at the actual herniated disc in order to remove the disc and relieve the pressure on the nerve. A discectomy is performed under general anesthesia. The surgery takes about an hour, depending on the extent of the disc herniation, the size of the patient, and other factors. A discectomy is done with the patient lying face down, and the back pointing upwards. In order to remove the fragment of herniated disc, your surgeon will make an incision over the center of your back. The incision is usually about 3 centimeters in length. Your surgeon then carefully dissects the muscles away from the bone of your spine. Using special instruments, your surgeon removes a small amount of bone and ligament from the back of the spine. This part of the procedure is called a laminotomy. Once this bone and ligament are removed, your surgeon can see, and protect the spinal nerves. Once the disc herniation is found, the herniated disc fragment is removed. Depending on the appearance and the condition of the remaining disc, more disc material may be removed in hopes of avoiding another fragment of disc from herniating in the future. Once the disc has been cleaned out from the area around the nerves, the incision is closed and a bandage is applied. Patients often awaken from surgery with immediate improvement of their leg pain; however, it is not unusual for these symptoms to take several weeks to slowly dissipate. Pain around the incision is common, but usually well controlled with oral pain medications. Patients often spend one night in the hospital but are usually then discharged the following day. A lumbar corset brace may help with some symptoms of pain but is not necessary in all cases. Gentle activities are encouraged after surgery, such as sitting upright and walking. Patients must avoid lifting heavy objects, and should try not to bend or twist the back excessively. Patients should avoid strenuous activity or exercise until cleared by their doctor. The most common problem of a discectomy is that there is a chance that another fragment of disc will herniate and cause similar symptoms in the future. This is a so-called recurrent disc herniation, and the risk of this occurring is about 10-15%. Most patients find relief of much, if not all, of their symptoms from a discectomy. However, the success of the procedure is about 85-90%, meaning that 10% of patients who undergo a discectomy will still have persistent symptoms. Patients who have symptoms for long periods of time prior to having surgery, or severe neurologic deficits (such as significant weakness) are at higher risk of incomplete recovery. Other risks of surgery include spinal fluid leaks, bleeding, and infection. All of these can usually be treated but may require a longer hospitalization or additional surgery. 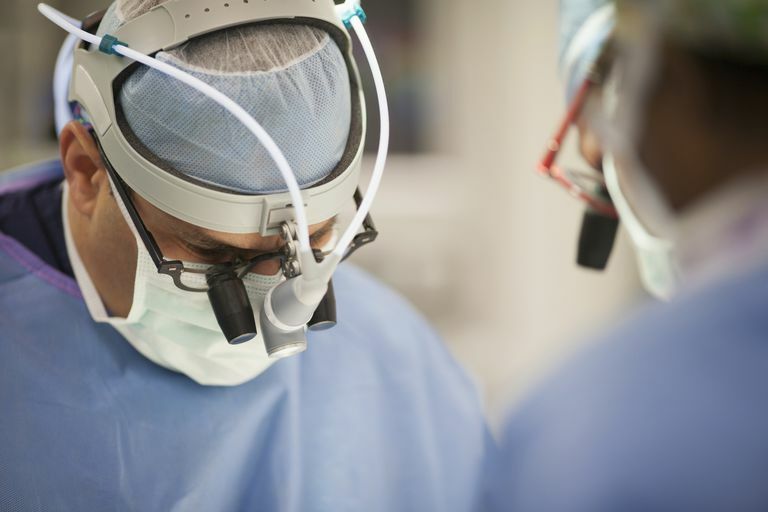 Newer techniques may allow your surgeon to perform a procedure called microdiscectomy and endoscopic discectomy. A microdiscectomy is a minimally invasive disc surgery that uses specialized instruments and smaller incisions. An endoscopic discectomy your surgeon uses special instruments and a camera to remove the herniated disc through very small incisions. The endoscopic microdiscectomy is a procedure that accomplishes the same goal as a traditional open discectomy, removing the herniated disc, but uses a smaller incision. Instead of actually looking at the herniated disc fragment and removing it, your surgeon uses a small camera to find the fragment and special instruments to remove it. The procedure may not require general anesthesia and is done through a smaller incision with less tissue dissection. Your surgeon uses x-ray and the camera to "see" where the disc herniation is, and special instruments to remove the fragment. Microdiscectomy and endoscopic microdiscectomy are appropriate in some specific situations, but not in all. Some patients are better served with a traditional open discectomy. While the idea of a faster recovery is nice, it is more important that the surgery is properly performed. Therefore, if open discectomy is more appropriate in your situation, then theses minimally invasive procedures should not be done. Discuss with your doctor if minimally invasive surgery may be appropriate for you. Mathews HH and Long BH "Minimally Invasive Techniques for the Treatment of Intervertebral Disk Herniation" J Am Acad Orthop Surg March/April 2002; 10:80-85.